Tsunami (tsoo-NAH-mee) is Japanese for “great harbor wave.” This wave can speed across the ocean at 500 miles (805 kilometers) an hour. When viewed in the deep waters the waves are only a few feet high. But watch out when the waves come close to shore and the more shallow waters. These little waves swell with energy and grow in height. Usually a second wave follows the first in about 15 minutes followed by others. These can last up to 2 hours or more. 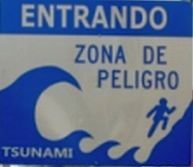 There are Tsunamis in Dominican Republic. Many have been recorded in history. A view of the Caribbean Sea and Santo Domingo in the distance. There have been 10 significant documented tsunamis in the Caribbean since 1492. Not only can an earthquake cause a tsunami but also landslides and volcanic eruptions can trigger a giant wave. *October 11, 1918 – Small tsunami on the coast of Punta Cana killing a person. *August 4th, 1946. This destructive tsunami was triggered by a magnitude 8.1 earthquake in the Dominican Republic. It killed about 1,800 people in the Caribbean. The natural phenomenon had waves over 10 meters high causing extensive damage to the northeastern coast of the Dominican Republic, according to contemporary reports in some low places the sea came up to 1500 meters inland. Reports say that the town of Matanzas was destroyed and an estimated 500 deaths occurred in that town alone. They say that one could walk underneath the pier in Puerta Plata, in the northern part of Republica Dominicana, because the retreat of the sea was so great. Read an account of the August 4th disaster. We had a real tsunami warning after the 7. Earthquake that devastated Haiti in 2010. It was declared for Cuba, Bahamas and the Dominican Republic. 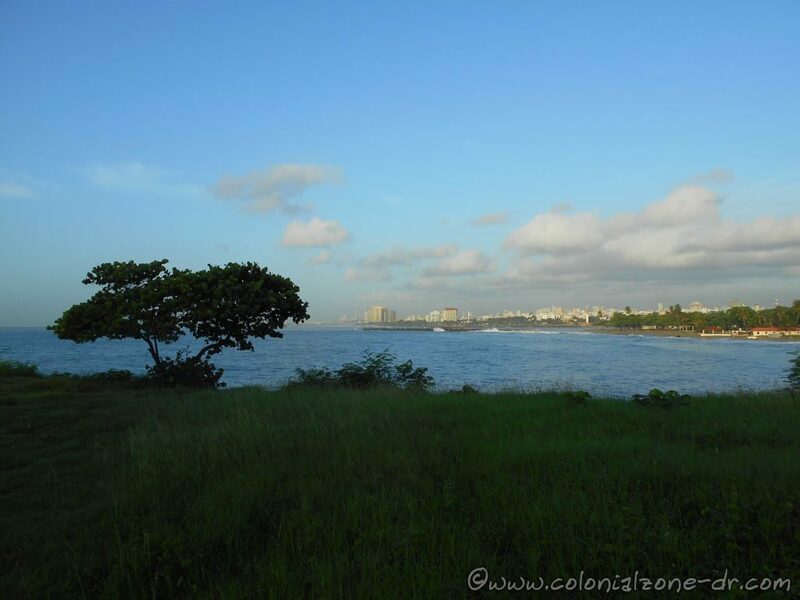 Witnesses claimed that in the Dominican town of Pedernales the sea moved away. Shortly after the alert was made it was withdrawn. Dominican Republic has set up mock tsunami drills in different areas throughout the country. These drills were executed very well. There are warning plans in place since an approaching tsunami cannot be felt as an earthquake can. A tsunami can sneak up on a person. The Caribbean Tsunami Information Center (CTIC) has been set up for this purpose. The flood zone in the event of a tsunami can be from two kilometers from the coast or 20 meters high. An example of how far the flood Zone is in the National District, Santo Domingo that would be from the Avenida George Washington covering much of the Autonomous University of Santo Domingo, Gascue and the Colonial Zone. *Info Message: Earthquake occurred but not magnitude too weak to generate tsunami. 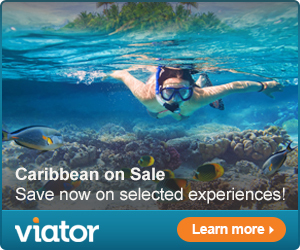 See a Map of the Caribbean with respect to the Tsunamis in the Caribbean area. Tsunami Messages for All Regions in the past 30 days. 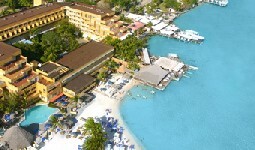 Tsunami Warning Center – Caribbean Sea. Tsunami and Tidal Wave warning signs and evacuation routes signs. Evacuation sign in case of tsunami “tsunami” / Señal ante alerta de tsunami. 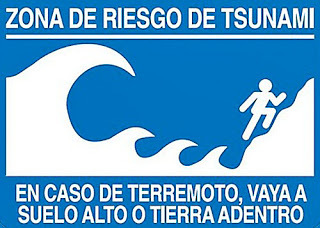 The best way to survive a Tsunami is to pay attention to the warnings put out by the government. *Abandoning your belongings and home and get to high ground FAST. *If getting away is not an option go to a tall building, climb a tree, do whatever you can to get high. *If all else fails find something that floats and hold on for dear life. 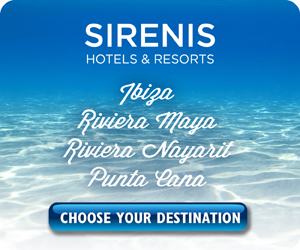 *Stay wherever you found refuge and wait to be sure the tsunami is really over. Links for more information and to learn in more detail about Tsunamis and Tsunami Stories. *An excellent brochure put out by The United States Geological Survey (USGS) “Surviving a Tsunami – Lessons From Chile, Hawaii, and Japan.” Actions that saved lives, and actions that cost lives, as recounted by eyewitnesses to the tsunami from the largest earthquake ever measured, the magnitude 9.5 earthquake in Chile on May 22, 1960. 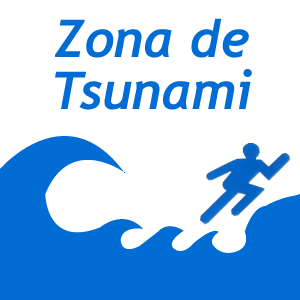 *Tsunami – Tidal Wave – Santo Domingo Danger Areas (English and Spanish).